As I’ve sought to understand how ‘radical love’ can heal both individuals and nations, my guide has been Martin Luther King. King’s spiritual teacher was Jesus Christ, whose simple yet profound message of “Love your neighbor as yourself” is the premise underlying all of Christianity. How does the teachings of Jesus apply to institutions, systems, and nation states? King began wrestling with this question in his teens. He suffered a crisis of faith as he contemplated the gulf between superfluous wealth and abject poverty. He sought to understand how Jesus's teachings address the wider problems of the world, but as he read some of the greatest thinkers on this issue, he wondered if the source of his faith provided the foundation to conquer this soul-crushing divide. As he studied Karl Marx, he came to understand, in King’s words, “Capitalism is always in danger of inspiring people to be more concerned about making a living than making a life. We are prone to judge success by the index of our salaries or the size of our automobiles, rather than by the quality of our service or relationship to humanity.” But King felt the implementation of Marx's ideas would lead to a totalitarian state. King also studied Friedrich Nietzsche and his attack on the whole of Hebraic-Christian morality with its virtues of piety and humility, its otherworldliness, and its attitude toward suffering as the glorification of weakness and passivity. Nietzsche challenged King with how his faith could address the greatest social issues of our times. King discovered a compelling answer when he attended a lecture given by Mordecai Johnson, the president of Howard University. Johnson had just returned from India where he was inspired by the life and teachings of Mahatma Gandhi. After the lecture, King threw himself into reading Gandhi and became deeply fascinated by his campaign of nonviolent resistance, particularly the Salt March to the Sea and his numerous fasts. Satyagraha -- truthful, forceful, radical love -- for Gandhi, was a potent instrument for social and collective transformation. King embraced this philosophy and used it in his landmark civil rights work. 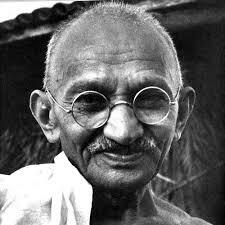 I will in time explore further the evolution of King’s commitment to nonviolent resistance and more about Gandhi, but here I want to focus on the basic invitation that exists for each and every one of us. No matter how destructive the breach between wealth and poverty becomes, no matter how horrifically people treat one another, no matter how challenging life becomes for us, there always exists an invitation to individual and collective transformation, a call to radical love. For each of us, this call looks different and it changes over time. For some, this call is about caring for an ailing relative or friend; for others, it is becoming a mentor to economically challenged children; for others, it is providing legal aid to the incarcerated or indigent, or creating paths to resettle refugee families. The list goes on and on. There are many opportunities of service that are worthy of us and our commitments, and radical love in our individual lives leads us to give of ourselves for the sake of others in ever more meaningful ways. But for some of us, the call is to address the broader systems of power that keep individuals chained to their limited beliefs and passive behavior. The call is to take action against the source of the wrongs that exist in our society. 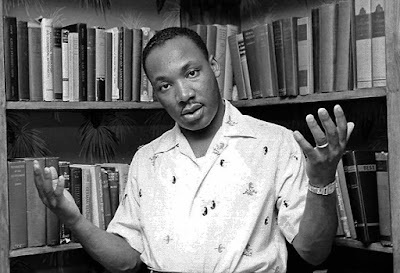 I turn to King for learning how to rise to the challenge of addressing the injustice of an entire system, in which most people who benefit from this system fail to see how others are not benefitting – others who are, in fact, suffering. Nonviolent resistance avoids not only external physical violence but also internal violence of spirit. The nonviolent resister not only refuses to shoot his opponent but he also refuses to hate him. At the center of nonviolence stands the principle of love. The nonviolent resister would content that in the struggle for human dignity, the oppressed people of he world must not succumb to the temptation of becoming bitter or indulging in hate campaigns. To retaliate in kind would do nothing but intensify the existence of hate in the universe. Along the way of life, someone must have sense enough and morality enough to cut off the chain of hate. This can only be done by projecting the ethic of love to the center of our lives.